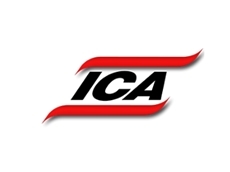 ICA’s recycling system uses lasers to detect plastics. 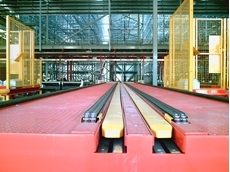 AN Australian materials handling system designer and manufacturer has developed a world-first technology to automatically process paper, glass, plastic, aluminium, steel, cardboard and other domestic recyclables with minimal manual sorting. 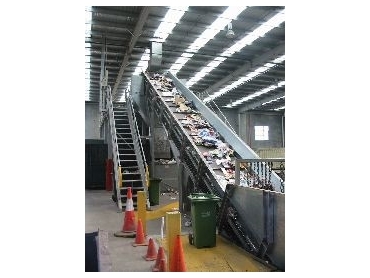 Developed with a $1.5m AusIndustry Commercial Ready Grant allocated for developing a solution for kerbside recycling, this new solution from Victoria-based Industrial Conveying (Aust) Pty Ltd (ICA) facilitates an operating profit right from the very start and will greatly reduce landfill. Furthermore, it is so scalable that when implemented to serve a handful of regional towns it can be as profitable as one applied to serve a large city council. 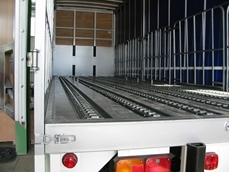 Based on a very fast, conveyor-based sorting system, the ICA solution receives fully laden recycling trucks. The recyclables mix is loaded onto the ICA system where it is elevated along conveyors fitted with clever sorting and separating technology. * The plastics are rapidly detected by lasers that read the molecular structure of each item. These plastics are then ejected into types of plastic by using air jets. 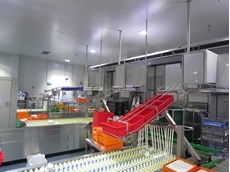 * Bottles and glass products are left to slide down the conveyor where optical electronics separates these into colour groups.